Spanish $199.95 $179.96 French $199.95 $179.96 Dutch $199.95 $179.96 Like talking to an old friend! 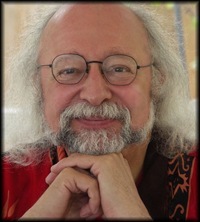 Steven Forrest is one of our best, meaning he is one of the finest practicing astrologer/authors working today. His sense of an individual's character as symbolized in an astrological chart is deeply intuitive. His writing reflects his caring sense of the unique spiritual nature of each being and their important place on this planet. He gently guides the reader through a very personal introduction to themselves, often identifying characteristics, talents and potential that a person may not have previously expressed, but innately felt. A Sky Within report is like a conversation with a very close trusted friend. It is filled with truth and presented in a manner that allows the reader to acknowledge those truths about themselves that may not be readily revealed to even the people closest to them. A Sky Within report is a rewarding experience, for some a life-changing experience. We highly recommend this report for your clients seeking spiritual reassurance and internal guideposts to universal harmony. If you are providing astrological services and reports to clients, a Forrest report will assure a thoroughly satisfied (and returning) customer. Giving a report as a gift may be one of the nicest things you can do for someone you care about. Steven Forrest is the author of several astrological bestsellers: The Inner Sky; The Changing Sky; The Book of Pluto; Measuring the Night (with Jeffrey Wolf Green); Skymates, Volumes One and Two (with Jodie Forrest); and the mystery novel Stalking Anubis. His work has been translated into a dozen languages, most recently Romanian. He maintains an active astrological apprenticeship program in California and a busy private practice in his home in North Carolina. He is Chair of the Kepler College Advisory Counsel and a member of the ISAR Ethics Committee. Sting calls Steven's work "as intelligent and cogent as it is poetic." Dell Horoscope describes him as "not only a premier astrologer, but also a wise man." O: The Oprah Magazine describes his philosophy this way: "Forrest's approach . . . stops the blame game in its tracks. . . we're warriors fulfilling our turbulent evolutionary paths." And Rob Brezny, in his popular Real Astrology column, simply calls him "the most brilliant astrologer alive." Steve lives in Chapel Hill with his wife, Jodie Forrest, and two tyrannical felines. The Sky Within is a complete program that will function as a stand-alone or in conjunction with other Matrix programs. Reports in the Win*Writer Professional collection work within the same user window making it easy to produce multiple reports quickly and efficiently either individually or in convenient batches. Standard Win*Writer options include ability to personalize reports to reflect your personal tastes and preferences. These programs offer user-defined settings that allow you to tailor reports according to your own personal taste and preference; batch processing is available, and special tools permit even further personalization of individual reports, for example, your own graphics, a personal logo, contact information and much more�the choice is yours! These reports give you the same precise astrological calculation and in-depth interpretation as is found in the Professional software; they do not, however, offer the user-defined options available in those more advanced report-writers. The Sky Within Natal professional report software. Part of the WinWriter collection: Natal Report software The Sky Within. The Sky Eithin create beautifully formatted reports, ready to deliver or e-mail to your customer or client!